Unity Performing Arts Foundation (UNITY) was the result of an ingenuous, divine vision handed down to Mr. Marshall White. He first began dreaming about an artistic concept designed to empower and develop young people into successful leaders in the year 1993. As the years progressed, it became increasingly clear that this idea was going to be something different and exciting for young people. He observed the lack of African American involvement in the performing arts within schools and in the community. There was a void in the existing arts platforms in Fort Wayne. This lead him to create a solution that would not only attract African Americans, but appeal to young people from various racial, social, economic, and geographical backgrounds. On August 1, 1997, the first official meeting was held to present the vision of Mr. White to a select group of interested people from the community. More meetings took place through 1999, bringing more people into the UNITY fold. On October 4, 1997, Cindy White, wife of Mr. White, joined the circle of organizers to help set organizational goals. In 1998, a committee was formed to begin conducting research and formulating ideas on class curriculums, audition sessions, fee structures and other aspects needed to build UNITY. After years of planning and researching, the strategy was designed to provide an artistic platform that would focus on mainstream art forms under one umbrella organization. Mr. White dubbed these art forms as “Soulful Art Forms.” The organization would include six artistic soulful art forms which are: singing, writing, speaking, dancing, drama, and instrumental music. These programs would be designed to be relevant, educational, and exciting with a focus of learning and studying the historical context of the art forms and providing professional instructors to train the students to perform with excellence. The final phase of the concept would also include infusing a powerful and effective youth development component that would serve as the substance for the entire programming. The goal was to draw the young people with relevant performing arts programming so the organization could shape and build them into powerful and effective leaders using the arts as the vehicle. Unity Performing Arts Foundation, (UNITY) designed to help students realize their potential and greatness at an early age, therefore, preparing and equipping them for school, college, workforce and adult life. In March 2000, Mr. White was introduced to attorney David Boyer II by attorney Payne Brown, who later registered the official papers for the organization. Mr. White, with the help of colleague Shirley Phifer-Smith and Attorney Boyer, sent the papers to the state to be filed. 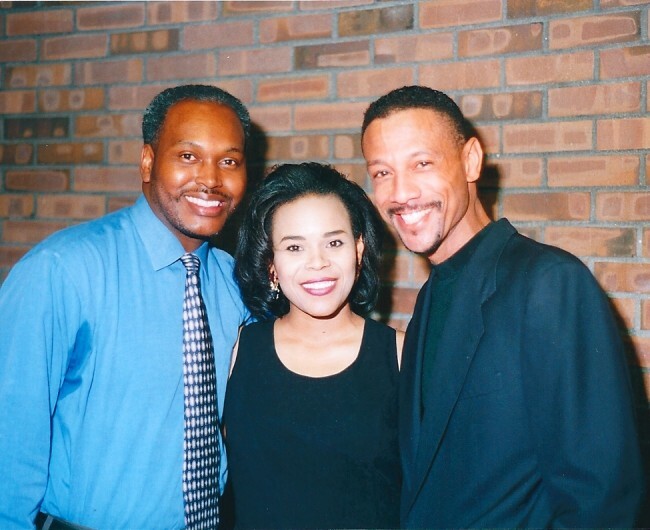 After receiving the official incorporation papers for UNITY in May 2000, Mr. White made the first executive move as founder of UNITY by appointing Mrs. Phifer-Smith as business assistant. UNITY was well on its way to fruition, but there remained the question of where the first artistic program (the youth choral program) would be launched. On June 13, 2000, Mr. White and Mrs. Phifer-Smith met with Dr. Michael Wartell, former chancellor of Indiana University-Purdue University Fort Wayne (IPFW), to present information about UNITY, and request rehearsal space on campus. UNITY was granted the space on a trial basis, with hopes of becoming a long-term resident of IPFW. That hope turned into a company in residence title in 2003. Later, in October 2008, UNITY was given permanent office space in the Rhinehart Music Center. 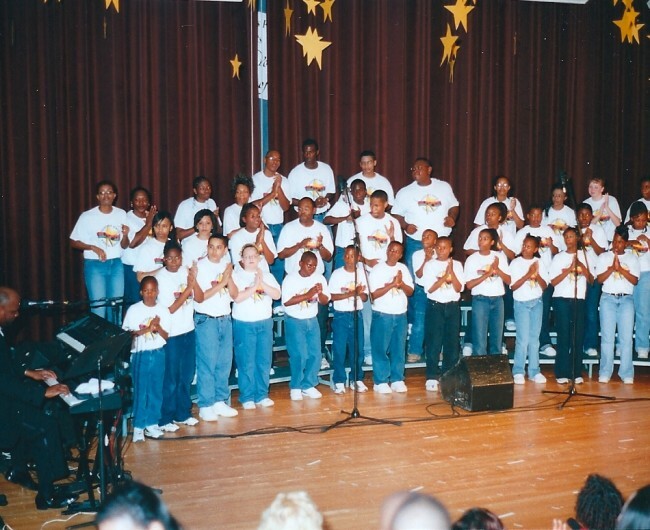 On July 9, 2000, the 44 charter members chose the name “The Voices of Unity Youth Choir” (VOU) for the youth choral program. Officers were appointed to head the organization soon after the first meeting of the Voices of Unity Youth Choir. Mr. White, music director of VOU, selected Mrs. Phifer-Smith as business administrator/vice president, Lucine Woodson as administrative assistant/secretary, Dorothy Billingsley as financial secretary and Patricia Johnson as coordinator of volunteers. These individuals would help carry out all administrative tasks for UNITY and VOU. In April 2001, preparations began for the debut concert of VOU. 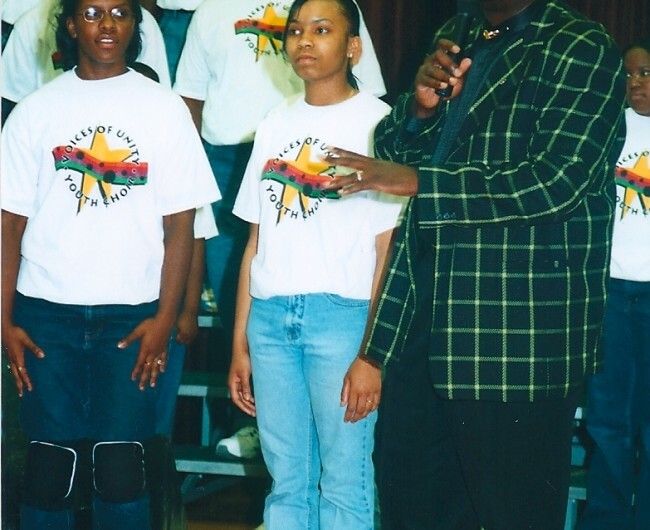 On June 16 and 17, 2001, the Voices of Unity Youth Choir was featured in its first performance: “Join the Caravan of Love” at Neff Hall at IPFW. The Rolland Foundation gave the organization it’s first major grant in the amount of $10,000 on Aug. 21, 2001. Mr. and Mrs. Ian Rolland also donated the first $2,000 to help UNITY get started. On June 11, 2001, the UNITY Board of Directors was officially established. The board members were: Marvin Eady Jr., Pat Johnson, Renee Morrison, Janice Wagner, Nicole Brown, Shirley Phifer-Smith, Chuck Surack, Lucine Woodson, Fred Gilbert, Cindy Bolinger, Mac McAllister, Jim Markinton and Dave Boyer II. In the years following the debut concert, UNITY produced many first-rate performances, trips, activities and fund-raisers. Youth from many racial, economic and social backgrounds – some as young as 6 years old have joined the choral program. UNITY has the distinction of being the first multi-faceted performing arts organization in Indiana to provide youth people an educational platform to learn and perform mainstream soulful art forms while exposing them to excellent life building tools, such as character building, career planning, empowerment and an effective support system. UNITY’S environment of excellence inspires and encourages young people to be successful in every area of life: at home, school, church and in their communities.